Any newcomer to ABBA’s final studio album – which is released this week as a deluxe CD+DVD edition – might be forgiven for thinking that they are listening to some kind of Kraftwerk/Vangelis hybrid as the title track starts, with its pulsing, ominous synths, Bladerunner twinkles, and processed vocals. But no, this is the same band that delivered Waterloo, I Do, I Do, I Do, I Do, I Do and Fernando only a few years earlier. 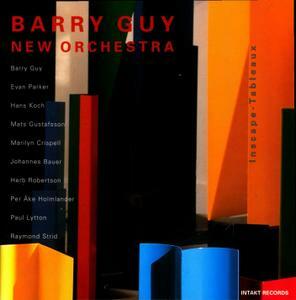 The composer and bassist Barry Guy presents here an extensive work with a new orchestra: The Barry Guy New Orchestra: Inscape -Tableaux. Like few other musicians, Barry Guy taps the current centers of improvised music, new classical music and jazz. 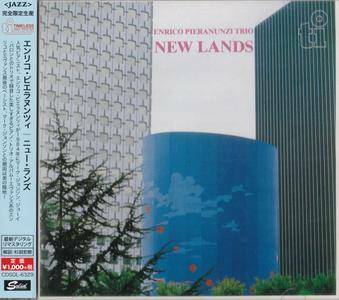 The numerous works for the London Jazz Composers Orchestra, compositions for the strings of the City of London Sinfonia, for the Kronos Quartet or for the voices of the Hilliard Ensemble reveal Guy’s immense musical cosmos. 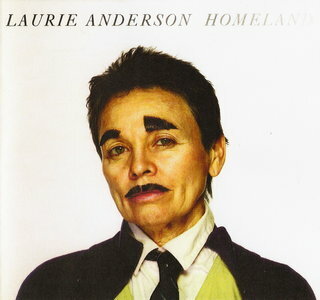 'Homeland' is produced by Anderson with Lou Reed and Roma Baran, and engineered by Anderson, Pat Dillett, Mario McNulty, and Marc Urselli. The music is instantly recognizable as Anderson's, though it draws on a broad scope of styles: She sings throughout and plays newly developed sounds on violin, as well as contributing keyboards and percussion. Her vocals are often mediated by the vocal filter she long ago invented to perform her signature "audio drag," this time voicing Fenway Bergamot, the male alter-ego who appears on the album's cover and narrates the song "Another Day in America." 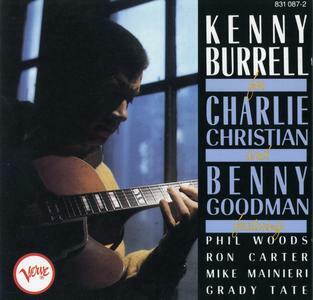 Kenny Burrell's tribute to Charlie Christian and Benny Goodman covers 11 of the songs they recorded together, but doesn't make the mistake of trying to sound anything like their historic recordings during their short time performing together. The guitarist is joined by a first-rate group, including Phil Woods on alto sax and clarinet, bassist Ron Carter, drummer Grady Tate, and vibraphonist Mike Mainieri. Burrell is the only soloist on a soft bossa nova treatment of "As Long as I Live" and the lightly swinging "I Surrender Dear." Since 1991, a complete edition of all recordings in which Karlheinz Stockhausen has personally participated is being released on compact discs. 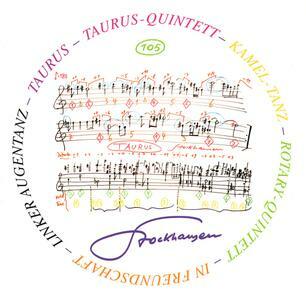 Each CD in this series is identified by Stockhausen's signature followed by an encircled number. The numbers indicate the general historical order of the works. 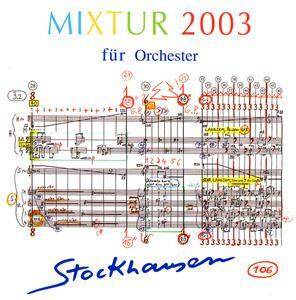 Stockhausen realised the electronic music and participated in these recordings as conductor, performer, sound projectionist, and musical director. He personally mixed down the recordings, mastered them for CDs, wrote the texts and drew the covers. Reissue. Features the high-fidelity SHM-CD format (compatible with standard CD player) and the latest 24bit 192kHz remastering. A rare and beautiful Andrew Hill session, and one of the classic Blue Note entries into the "jazz and voices" sound that the label pioneered with Donald Byrd and Eddie Gale. 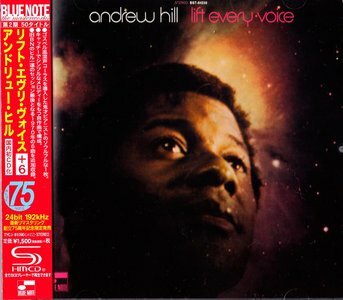 Hill leads a core jazz group that includes Woody Shaw on trumpet, Carlos Garnett on tenor, Richard Davis on bass, and Freddie Waits on drums – and the group is backed by a vocal ensemble with a very spiritual vibe – a chorus who soar out soulfully, and really augment the jazz instrumentation of the album! Features 24 bit remastering and comes with a mini-description. 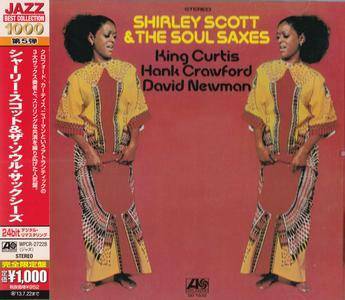 Hip soulful work from organist Shirley Scott – one of the first records that has her breaking out of the straighter soul jazz sound of her work on Prestige and Impulse – and a gem of a set that features some great funky arrangements from the great Marty Sheller! The group's all-Atlantic all the way through – with players that include King Curtis, Hank Crawford, and David Newman on "soul" saxophones – backing Shirley up on a batch of tunes are mostly takes on 60s pop and soul hits – given a larger band groove, and a sweet Atlantic swing! The album's got a great funky version of "It's Your Thing", plus "I Wish I Knew How it Would Feel To Be Free", "Get Back", and "Natural Woman". Reissue with the latest remastering. Features original cover artwork. Comes with a descripton in Japanese. 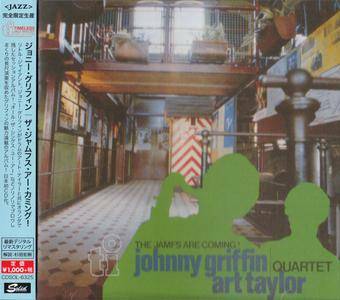 A pair of small nightclubs in Wihelmshaven, Germany provided the settings for these live performances led by tenor saxophonist Johnny Griffin. Accompanied by drummer Art Taylor, pianist Rein de Graaff, and either Koos Serierse or Henk Haverhoek on bass, Griffin is in top form. His explosive original blues, "The Jamfs Are Coming" ("JAMF" is an acronym for a well-known but unprintable expression), is a powerful opener recorded in 1977, with pulsing solos by de Graaff and Taylor as well. 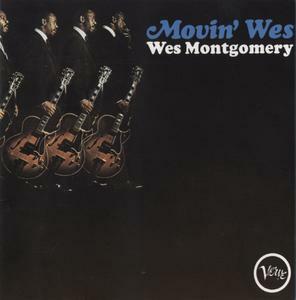 One of Wes Montgomery's grooviest records of the 60s – a wonderful collaboration with the great Johnny Pate – a jazz artist at heart, but also working here as a soulful arranger who gives Wes' guitar a nicely different flavor than some of his other Verve albums of the time! Pate's probably best known for his famous work in the studio with The Impressions in the 60s – and he uses that soulful legacy to craft some very groovy charts for Montgomery – nicely upbeat at times, yet still filled with those amazing chromes from the guitar! Wes is playing here with a groove that you'll be hard pressed to find in some of his other records, while Johnny and the band go to town in kind of a soul jazz style. 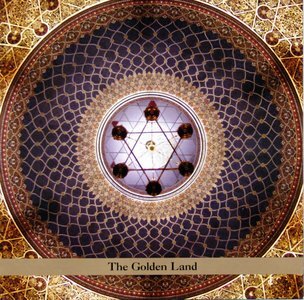 A mainstay of the Radical Jewish series since their first release in 2000, Jaroslaw Bester is one of the most consistently creative and imaginative musicians in the New Jewish Renaissance. Here he approaches the classic compositions of Cracow-born Mordechaj Gebirtig, the preeminent Yiddish folk artist and one of the most influential poets and songwriters of his time. Bester’s arrangements are lush and filled with emotion, setting the tone of Gebirtig’s lyrical melodies into a modern and powerful new context. Reissue with the latest 2014 DSD remastering. Comes with liner notes. 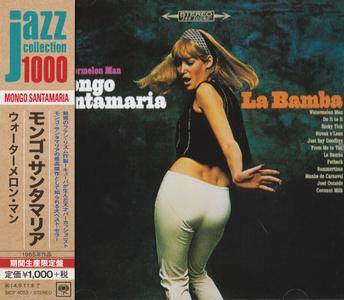 Mongo Santamaria at the height of his Latin Soul years – working on a cool Columbia session titled after an earlier hit, but served up with his new lean sound of the late 60s! The album's got that perfect Santamaria combo from the time – a group that features trumpet and these wonderfully sharp arrangements from the great Marty Sheller – plus very smoking reed work from a young Hubert Laws, wailing away on flute and tenor, and Bobby Capers on alto and baritone – both players who mix jazz and soul instrumental modes, to bring a hell of a lot of feeling to the overall sound of the band – in ways that really get past more familiar use of trumpet or trombone in other Latin combos. The band grooves nicely on original material like "Streak O Lean", "Ricky Tick", "Do It To It", "Fatback", "Coconut Milk", and "Jose Outside" – and they also reprise Mongo's big hit "Watermelon Man". An incredible record from Sun Ra! The session was recorded in New York in the late 60s – and it features Ra playing the "solar sound instrument", which is actually a modified Hohner Clavinet, used here with some really spooky sounds! 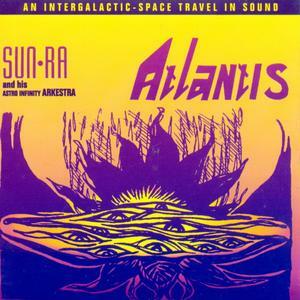 The setting of the album is spare and moody – with Ra striking out first on the "solar sound instrument" – laying down a groove that's filled in by John Gilmore on tenor, plus additional percussion by Robert Barry (who plays a bit of the "lightning drum"), Clifford Jarvis, Marshall Allen, and Pat Patrick. 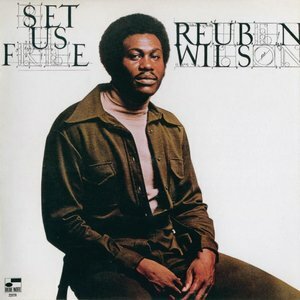 Set Us Free, Reuben Wilson's final album for Blue Note, was issued in 1971. Since that time it has become an immortal and much sought classic by beatheads for a single track: "We're in Love." DJ Premier sampled it liberally – for its Hammond B-3 vamps, backing vocals, and decorative percussion – for use on rapper Nas' smash "Memory Lane." Hip-hop fans suddenly had to hear more, and as a result not only is Wilson active again on the circuit, but there has also been terrific interest in his catalog.